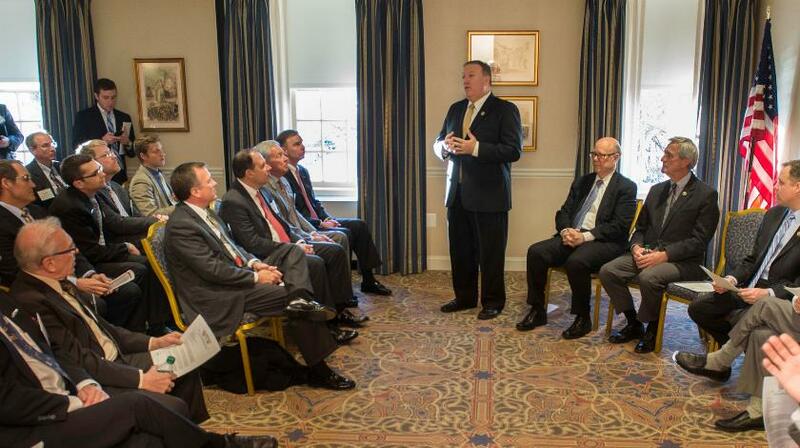 A cross-section of general aviation industry leaders aired their key policy concerns in a Washington, D.C. town hall meeting hosted this week by Rep. Mike Pompeo (R-Kan.). The meeting drew nearly two dozen leaders from associations, manufacturers, fixed-base operations, corporate flight departments, flight training providers, maintenance companies, educators and members of the legal community, among others. EAA chairman and CEO Jack Pelton echoed those sentiments. “General aviation is facing a huge challenge and it was encouraging to see that the entire Kansas Congressional delegation getting involved in this fight,” he said.